Reddit, a popular website which proclaims itself “the front page of the internet,” recently hosted a very famous guest for 30 minutes of user-generated questions. President Obama created and site moderators verified an AMA (Ask Me Anything) thread on Wednesday where he answered 10 questions ranging from his favorite basketball player to his administration’s plan for space exploration. The President Obama Reddit AMA appeared on Reddit without warning (most famous AMA’s are scheduled well ahead of time), and the site was not prepared for the massive influx of traffic that the thread generated. Reddit was slammed with 7 million visitors on August 29th and 30th, which caused the site to periodically crash throughout the day. 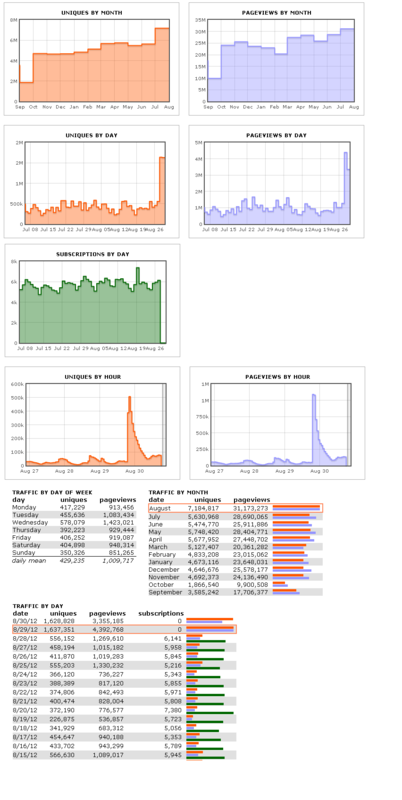 Obama’s Reddit account was created 3 days ago and has since generated over 17,000 Karma points. Karma points are Reddit’s in-house system for tracking the amount of “upvotes” a user receives. On Reddit, when a user posts a comment or submits content, other users then upvote or downvote the original poster. Threads with the most upvotes rise to the front page, which is what users see when they first view the site. 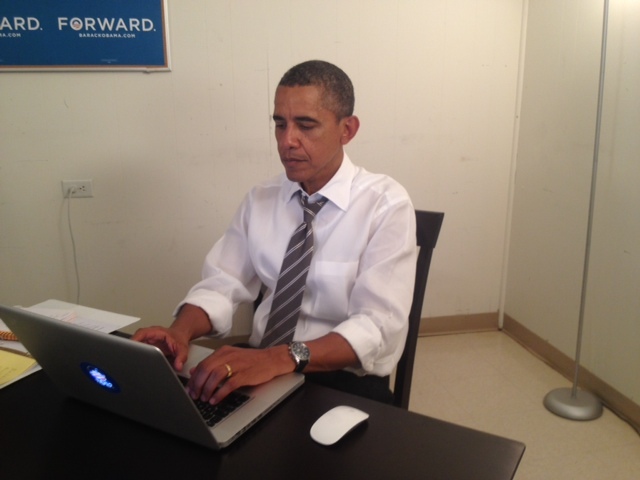 Unsurprisingly, Obama’s AMA was the top thread on the front page of Reddit for Wednesday, and even part of Thursday. The thread itself received over 3,000 upvotes, with more individual upvotes awarded to Obama’s responses in the thread itself. President Obama placed a lot of emphasis on rebuilding the economy in his response, perhaps in retaliation for the flak he has taken from Republican politicians leading up to the RNC. He also mentioned that his administration will invest in alternative energy sources as a nod to his recent signing of an executive order to accelerate green energy policies. President Obama certainly built up a large to-do list with this response, but with election day two short months away, a summarized post of what he brings to the table is a smart way of attracting voters to his platform. Citizen’s United v. Federal Election Commission was a 2008 Supreme Court case in which the court upheld the First Amendment rights of corporations and unions, revoking the right of the government to restrict their political speech. This allowed for the creation of Super PACs, organizations which raise massive amounts of money to speak on behalf of political parties and candidates in television, radio, Internet, and print advertisements. Obama himself is supported by a number of Super PACs who may not agree with his sentiments above. However, by amending the Citizen’s United case, this could potentially level the playing field for third party candidates in future elections by restricting the amount of private donations each candidate or party may receive. President Obama answered a number of other questions, which can be read in their entirety, along with the responses above, on the original Reddit thread. He soon returned to more pressing presidential responsibilities after a short 30 minutes, but his impact seems to have affected the entire Reddit community. Whether or not users agreed with his sentiments, many were impressed that he reached out to voters in such an open and public way. Many comments and threads the next day discussed how many of Reddit’s users had never expected the chance to interact one-on-one with the President.